Earth People’s Garden, LLC was denied a license for providing false information and Self Made Cannabis Company received three stipulated settlements for nine violations with fines totaling over $17,000. 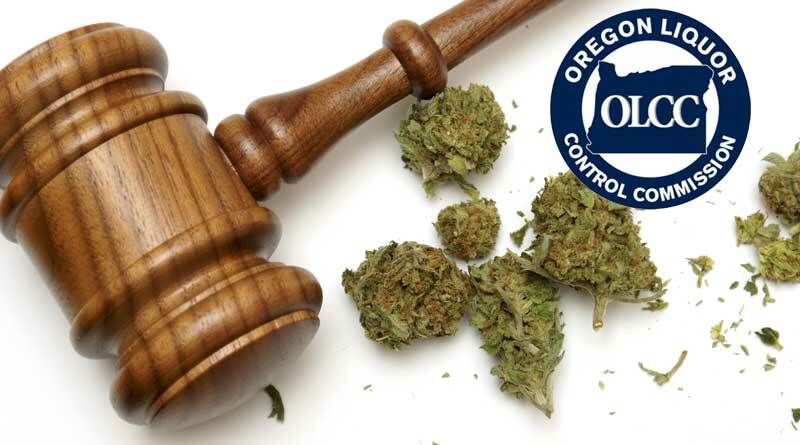 During the Oregon Liquor Control Commission (OLCC) monthly meeting on March 21st they issued a number of fines and denied one company a marijuana producer license. In one case, which had been appealed, the OLCC determined that Earth People’s Garden, LLC, violated the rules when their managing member Steven Shirley had another person take the knowledge tests required to become a licensed producer but represented that he, himself, had taken them. In the other major judgement the OLCC issued three settlements for a total of nine violations against Self Made Cannabis Company. The violations impose either a total of 105 days of license suspension or fines totaling over $17,000. The combined total of the fines are one of the largest settlements imposed by the OLCC since regulation began in Oregon. Portland, OR – At its monthly meeting on March 21, 2019 the Commissioners of the Oregon Liquor Control Commission accepted the findings of a State of Oregon Administrative Law Judge (ALJ) and denied the application for a producer marijuana license by Earth People’s Garden, LLC. All five of the attending commission members voted in favor of issuing a final order upholding the license denial. Jefferson Packing House – will pay a fine of $825 or serve a five-day recreational marijuana wholesaler license suspension for one violation. Self Made Cannabis Company (#B9DE) – will pay a fine of $7,260 or serve a 44-day recreational marijuana producer license suspension for two violations. Self Made Cannabis Company (#8E65) – will pay a fine of $4,455 or serve a 27-day recreational marijuana producer license suspension for three violations. Self Made Cannabis Company (#C0E7) – will pay a fine of $5,610 or serve a 34-day recreational marijuana producer license suspension for four violations.